As SEO professionals, we understand how important it is to make sure that all of our efforts are not going to waste. There are a massive number of online SEO tools that help us keep track of our results, or gain a better understanding of where we need to improve our strategies. Luckily, there are many different online website optimization tools that we can utilize for free – and all of them serve a different purpose! Today, we’re going to talk about the best on-page SEO tools and how these can benefit your overall SEO plan. We’ve covered this topic in the past, but it can always bear repeating. On-page SEO is the art of ensuring your website content (images, text, videos, etc. – anything “on your page”) is up to standards that search engines will not only see your site when they perform their crawls but that the site is optimized to be placed in the highest position possible. Different factors go into on-page (or internal) SEO optimization. This includes a semantic core analysis, content analysis, site structure analysis, software review, and usability. Let’s dive further into these sections and see how they impact our on-site SEO. Semantic Core Analysis: It’s important to start your SEO campaign with a semantic core analysis. When we talk about this method, we’re talking about ensuring that your keywords are relevant to your website, are the correct words you want to target, and that they’re where they should be in the context of your website. This means ensuring that title and descriptions don’t use repeat words or phrases. Content Analysis: Content needs to be 100% unique. Never use duplicate content on different pages, and remember, content includes alternate text behind images! It’s also important to remember to utilize H1, H2, H3, etc. tags in your content. Do NOT stuff your content with keywords. This can affect the rankings that you’re working hard to improve in a negative way! Site Structure Analysis: How many pages deep do the navigation on your site travel? If it’s more than two pages, chances are that search engines aren’t going to like that. Make sure that your content makes sense on your pages, and that your URLs are not only unique but specific to the page they’re housing. Remove any broken links, or pages that don’t serve an immediate purpose – you can always re-add them when you’re ready! Software Review: Again, duplicate content is a no-no. Sometimes content management systems will automatically add duplicate content to pages. It’s important to use different online SEO tools to ensure that all content is unique. We’ll get to the free on-page SEO tools that you can utilize in a few moments, but keep the duplicate content in mind as you’re creating, and review, your website. Check the download speed of your site. Anything over 3 seconds to load is not acceptable. It’s time to consider a tune up if your pages are taking an excessive amount of time to load. Check your content for scripts that are slowing down your load time, or running in the background. Remove any errors in the website HTML/CSS code. Usability: How does the site look to an end user? You can send your link to family members or friends to see how they utilize the site, and if it meets their needs. Put together a list of questions like “is the site easy to read?”, “is the information useful?”, or “is the site easily displayed on a mobile device?”… if the answer is “no” to any of these, it’s time to rethink a few things. Let’s get into the on-page SEO tools that you can use to make sure your site is meeting SEO standards. Like we talked about, a lot of online SEO tools are free for you to use, and the same goes for on-page SEO tools. Understanding that it’s nearly impossible to run a full site analysis manually is the first step to creating a great SEO plan, and one that will actually produce results. While manual analysis is necessary at some points in your campaign, it is not realistic to think that you will have the ability to perform a quality analysis without some automated help. The following online website optimization tools will not only speed up the analysis process but will also help prevent any mistakes or missteps that can happen through a manual process. Hummingbird, Penguin, and Panda have all affected the SEO world in a massive way. Prior to these releases, SEO was pretty much a giant guessing game as to what would make a site perform better than another. Now that there are guidelines to follow, rewards in the form of high rankings, or penalties for not adhering to best SEO practices are more and more frequent… but the best part is, there is an understanding as to why. 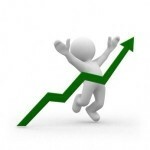 Ability to track your website rankings, AND your competitor rankings. This is done through analysis of the top keywords for both sites. You can view keywords that your competitors are using in their Adword Campaigns. Receive a list of keywords that you aren’t utilizing for your site. These keywords are already on page 1 of Google, and that means you’re guaranteed faster results when you use these words in your on-page SEO. This tool is incredibly fast and easy to utilize. 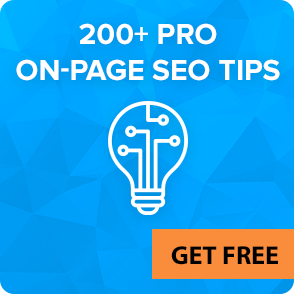 You’re given a massive amount of free keywords for you to utilize in your SEO. The best part? It’s not just tailored to Google! This tool will provide keywords that you can use on Google, Bing, Amazon, YouTube and even the App Store! If that doesn’t cover all of your SEO needs, I’m not sure what will. Keywordtool provides keywords that do not display in Google Keyword Planner, which is another reason this is one of the best on-page SEO tools to have in your arsenal. This tool provides SEO keywords and Pay-Per Click keyword results. Using this tool, you have the ability to target specific niches of keywords, and WordStream will provide you suggestions that you can then base off of your keyword theme for even more SEO keywords. Want to explore the most searched for keywords based on the keyword root? Then Soovle is your best bet. This online website optimization tool is great for finding words by utilizing just the bare minimum portion of your keyword, and having a stream of ideas for additional SEO content. Not just for search engines! You can also search keywords for Amazon and eBay! This tool will autogenerate suggestions as you type in your keywords, which basically means your job is already halfway done! Google’s Keyword Planner is probably the most well known as one of the best on-page SEO tools out there, and for good reason. You can gain information on keywords (obviously), but not just your keywords, but the keywords of your competitors as well. Reports on average cost per click, how high your competition level is for your PPC campaigns (based on low, medium, and high), as well as average monthly searches for keywords are all included. You do need a Google Adwords Account to access Keyword Planner, but it’s still a free tool! In addition to the above tools for on-page SEO optimization, there are other tools that you can utilize to make your on-page SEO analysis, and in result, your overall SEO marketing plan, successful. How well your site is performing, what queries are happening on your site, and where the site appears in your search results. Viewing your links and how they’re performing. Your site links are analyzed for performance and to give information on the number of times people click on these particular links. Ability to see all of the penalties that you’ve been given from Google. This information is nearly as valuable as what you’re doing right on your site! Knowing where Google is penalizing your efforts allows you to never make the same mistake again. Webmaster Tools will also show you how to recover and recuperate from the penalties. Delete URLs. From Webmaster Tools, you can actually remove any URLs that don’t serve a purpose or are URLs that you do not want to be associated with your website. Graphs! Google Webmaster Tools provide your data in an easy to read, visually appealing graph. Don’t let the mane scare you. Screaming Frog is a great tool that will become one of your favorites. Takes a domain and crawls each and every page. The information from this crawl is then provided in results based on the criteria that search engines look for. You will see everything that’s important during an SEO audit and how your on-page SEO is working (or not) in your favor! 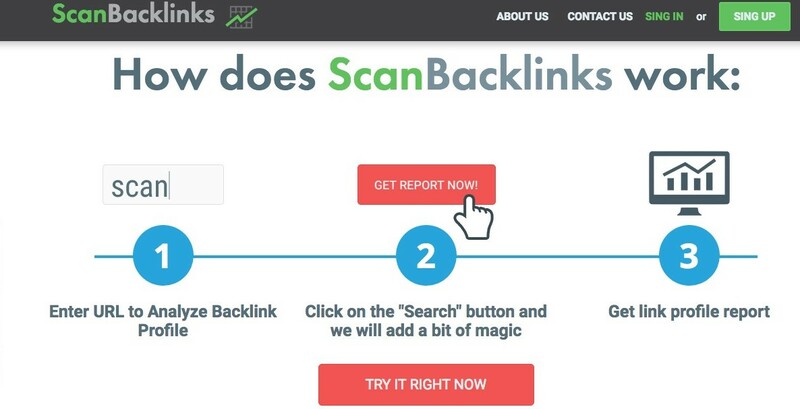 Probably one of the youngest tools on this list, ScanBacklinks gives you the ability to find your competitors backlinks profile and analyze your on-page optimization. Just enter an URL and hit “Search”, and you will find yourself with a report of information about the links on your competitor’s website or all info about on-page optimization issues. To “ping” a domain means to see how fast the site is performing if the site is performing, and where it can improve. Pingdom provides all of this information through just a push of a button. This tool will check every DNS level on your site, and report it back in a nice neat package. Checks for any warnings or errors in your site DNS. Gives the ability to tell if any DNS issues are causing your site any usability issues, downtime, or any crawl errors. Free to use, and saves a lot of time and hassle down the road! If you need a tool to help on the technical side of your SEO, then look no further than GTmetrix. Ensures that your site is performing at speeds that won’t make your end users want to tear their hair out or move on to another site. Makes sure that your site is optimized to be crawled by search engines, and thus, improve your rankings. Provides areas of improvement on each page you analyze. This is all done while the page is loading, and then GTmetrix will even give you tips and tricks on how to improve and what updates to make. Gives suggestions that can be performed in real time, and will immediately help to increase your SEO. This handy WordPress plugin is used to create an SEO friendly sitemap for your site. This is done automatically, and with no cost to you. Use this little guy to verify your robots.txt syntax and ensure that it is formatted correctly. To help with your content, there are a few different tools that you can utilize. Copyscape is a free tool that you can use to ensure your content is free of plagiarism. This means you’ll never have duplicate content again! You just enter your URL, and a report will let you know if your content is as unique as you believe it is. Word2Clean provides a really basic interface. Its purpose is to take a text file and convert it to clean HTML. In order to successfully publish anything online, and gain the proper SEO from your posts, clean HTML is a must! Do you want to optimize your visual aids in your content? Infogr.am is for you! This online tool will make it incredibly easy for you to put together a successful graphic or infographic, all with minimal work on your end! Hopefully, this has given you a decent start for your on-page SEO optimization, and a few tools that you can utilize to make your SEO plan a huge success. Let us know if we missed any of your favorite tools in the comments below!